Are you looking for a buy here pay here car dealer? If you are, you may have to look hard since most Buy Here Pay Here car dealers may just be looking for inexperienced people like you. Used car dealers have a lot of experience in talking people into buying cars that they may not need or may not be the best model or make. 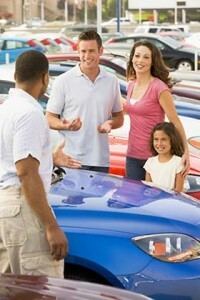 It is therefore important to learn how to look for the best used car dealer. Here are some great tips. Look for BHPH car dealer reviews. You can find reliable and legit reviews online of countless car dealers and the best site to start is the Better Business Bureau website. The BBB has a lot of reviews, recommendations and various information about different businesses that sell used cars. Reviews are first-hand experience of customers regarding businesses and it reveals the real story about what a business really offers. BBB reviews about used car dealers are highly reliable and most businesses place the BBB seal on their official business site which means that they are highly recommended by the site for great service. Look for a local buy here pay here dealer. A local business will be more accommodating and will likely provide you with better and more efficient service considering that you are a local as well. A local dealer will be easier to locate and to return to for any complaints and any problems with the vehicle. You can also trust that a local dealer will be less likely to wrong a local and you may well be given a better deal compared to dealers from other locations. Check the certified used car models that are up for sale. These cars must pass standards of your city or state regarding how used cars must be sold. Look for valid business registration certificates and stickers on the used car models. Be sure to learn how to check used cars out before you purchase. Aside from making a visual inspection of the exterior or interior of the vehicle you should also test drive the car. Testing how the car runs and how it moves along different surfaces the only way to assess a used model before you purchase. It is therefore important to find a dealer who will allow for a test drive. A suitable buy here pay here dealer has warranties and guarantees on his cars and abides this at all cost. You can learn about a buy here pay here car dealer’s warranties and guarantees through its online site Click Here. Dealers must have a good working relationship with auto insurance companies and auto loan or refinance companies. These are signs that customers are very welcome and that the business is truly a legit used car dealer company. Finally, the business must have the particular car you want. If you are looking for a specific car in mind then by all means look for a dealer that has the model available. There are plenty of buy here pay here car dealers so take time shopping for the best one. Never! Ever! Buy a car that you don’t like. You will never be happy and making the payments will hurt much more than normal. Hello Louisville, Northern KY, and all of Southern Indiana! We are proud to be a part of the Louisville community and encourage you to use our site in the spirit it was published. We’re going to provide automotive tips, tricks, and advice to local residents that need it. If you’re buying, selling, insuring, or having your car worked on our cleaned you may have some questions. If you do shoot us an email, and we’ll answer it as soon as we can. Or you can always check out our blog. We’re going to have some good information for anybody that owns or drives posted in there and it’s accessible for anybody that wants to read it. So there it is! Hit us up if you need us.